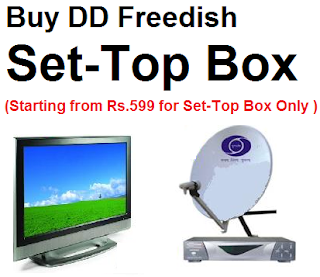 Doordarshan will conduct 33rd online e-auction for filling up of vacant non-news & current affairs category DTH slot for the DTH service of Doordarshan's DD Freedish on 11th April, 2017. Only those private satellite TV channels which are permitted by Ministry of information and broadcasting under non-news & current affairs TV channels category can submit their application for participation in the 33rd e-auction. Interested non-news & current affairs private channels are requested to submit their applications along with requisite documents and demand drafts on or before 11th April, 2017, latest by 12:00 noon for participation in the e-Auction. 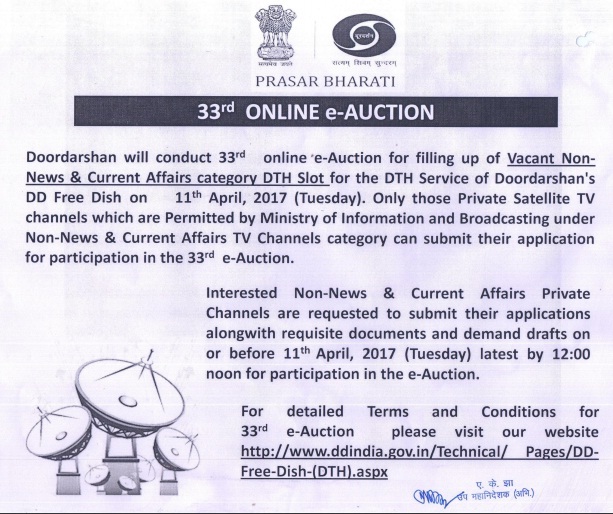 for detailed terms and conditions for 33rd e-Auction please visit Doordarshan Prasar bharati website. Any result update on 33rd auction ?